Our Swedish family-owned business, where Tarsus and Sjöbloms Sjukvårdsutrustning AB is included, was founded in 1948. 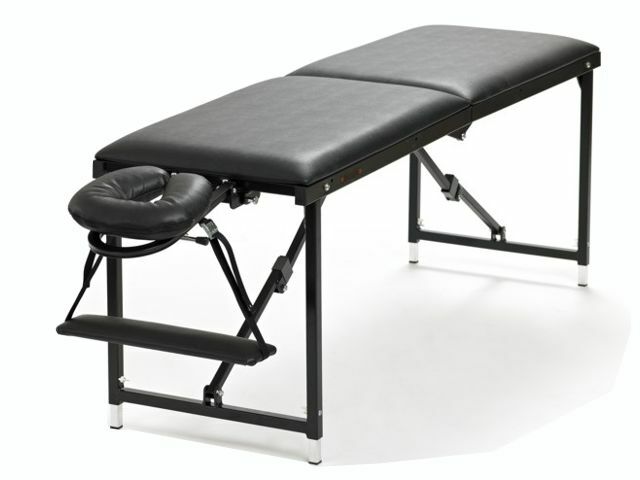 We design, manufacture and sell medical furniture as well as massage tables and physiotherapy tables, both portable and stationary. We are proud to announce the birth of a new gynaecology chair. The chair is designed around one of Linak's strong and stylish column motors. Its legrests have a ball-and-socket joint, which makes adjustments very flexible and simple. Everything shown in the image is included in the price. Collect products in an offer cart and send it to us. You will receive an offer by e-mail. The Tarsus portable massage table has attended more national and international sports events than most Actives ever have. Being so sturdy and long-lasting, Tarsus is the brand chosen by many therapists for many, many sports teams and massage schools.